Managers and executives shoulder an impressive amount of responsibility for their company, which is matched by their impressive paychecks. Top executives make upward of $100,400 a year. (1) Not all leaders are equal in value, though. 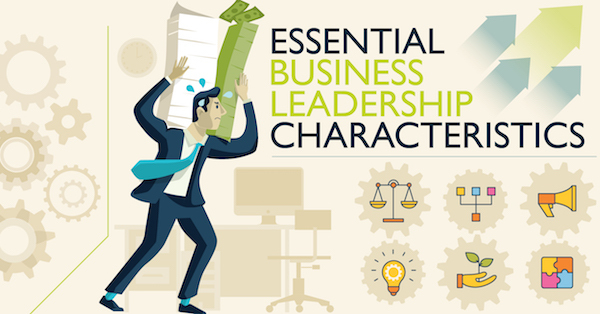 To lead a company in a profitable direction, executives must master some essential business leadership competencies. The safety of employees should be the first priority of a good leader, followed closely by conducting business in an ethical manner. The goal is to make employees feel safe and to create a trusting environment. Fairness and an open-door policy are key to demonstrating strong ethics as a leader. Successful executives know they can’t do every aspect of a job themselves, so they provide clear goals and empower their teams to take the lead. To promote self-organization and keep everyone on the same page, encourage the use of collaboration tools like Google Drive, Trello, Basecamp and Slack. Successful leaders learn employees’ individual communication styles and use tools to complement those styles. They avoid “I” and “you” statements and instead use “we” statements, and though the message should be clear and definitive, it should always be written positively. Design: “Your idea won’t work.” (put an X over this statement). “That’s a great starting point. We should find similar avenues to explore.” (put a thumb’s up next to this statement). There are currently five different generations in the workforce, and all are accustomed to different learning styles. (4) Leaders must become superior in providing employees with learning tools and resources that match their learning styles. Cross-training workers helps managers align employees with the most appropriate roles. Enhanced collaboration is at the core of effective leadership. Creating unity among workers ensures everyone enjoys coming to work, and employee happiness is a vital KPI that should be measured regularly. Though average age of an incoming CEO is 50-years-old, age isn’t a factor. (8) Anyone can be a great leader. There are plenty of young executives out there who are paving the way for young adults with leadership aspirations.